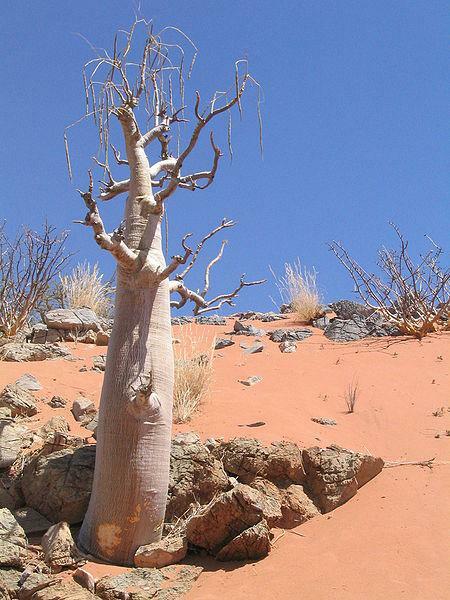 A recipe for using "the world's most useful tree" to purify water is being offered for free download, in the hope that this will help get clean drinking water to billions of poor folk around the world. The tree in question is the Moringa oleifera ("oily moringa") aka the horseradish or drumstick tree (also "Mother's best friend" in some places). The Moringa is cultivated across the tropical world and furnishes food in the form of apparently highly nutritious* pods, leaves and flowers. It also yields oil which can be used as lighting or cooking fuel (or to make biogas). You can even make a highly effective crop fertiliser out of the miracle Moringa. Handily, the trusty tree is also drought resistant and tolerant of poor soil. But that's not all, it turns out. You can also use Moringa products to inexpensively purify dirty drinking water. The method in outline involves crushing the tree's seeds to powder and making a solution with this. When the solution is added to turbid, dirty water it causes the suspended gunge to rapidly stick together into bigger flecks and so sink rapidly. Almost all contamination is thus carried down quite quickly into a sludge at the bottom of the container, allowing nice clear water to be decanted or siphoned off from the top. The Moringa-seed technique, according to Lea, isn't foolproof - there are various bacteria and viruses which will not be affected by it. But it makes water much safer and more pleasant to drink, and Moringa treatment is hugely better than no treatment at all, which is the norm for far too many people. “This technique does not represent a total solution to the threat of waterborne disease," concedes Lea. "However, given that the cultivation and use of the Moringa tree can bring benefits in the shape of nutrition and income as well as of far purer water, there is the possibility that thousands of 21st century families could find themselves liberated from what should now be universally seen as 19th century causes of death and disease. According to Lea, despite the fact that Moringa is widespread in the very regions where bad water is a serious problem, the seed-paste purification method is little known. Thus his paper on just how to do it is being published for free online. *The leaves of the Moringa are said by some sources to be several times as rich in the relevant desirable vitamins and minerals as orange juice, bananas, carrots and milk.